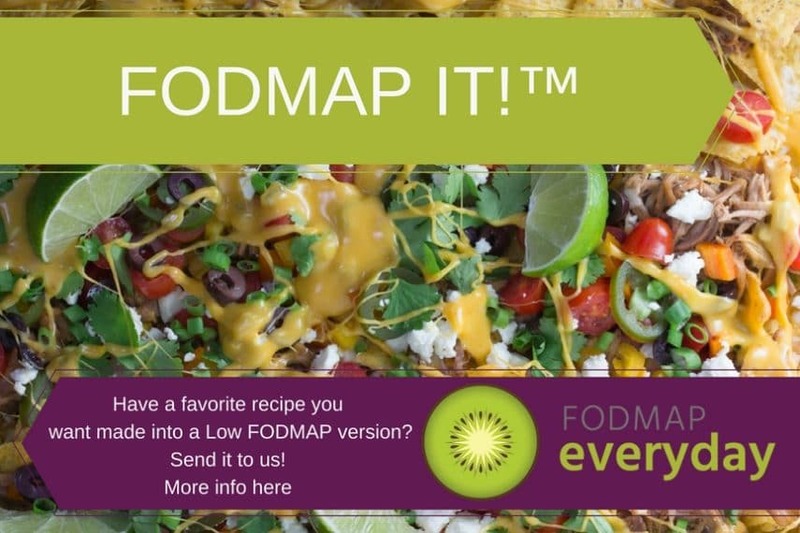 FODMAP IT!™ is our exclusive regular column where we feature recipes that we gather from our pre-FODMAP life, sourced from Grandma, our favorite cookbooks, magazines, friends, restaurants and YOU! and we want recipes from YOU, too! Do you want your Dad’s pot roast re-worked to fit your new life? How about that cookie recipe that you have been making since you were a kid? Want to remake your grandmother’s cake recipe Low FODMAP, and have it look and taste like hers? 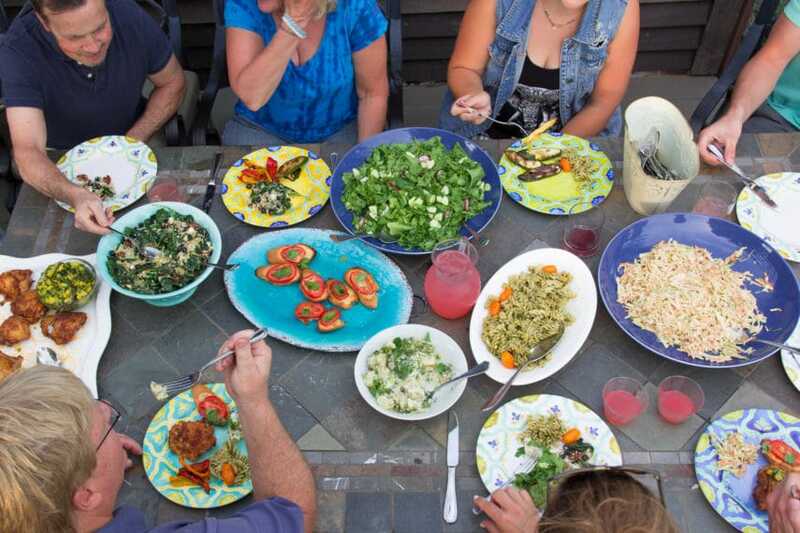 Not every recipe is FODMAP-able, but for those that are our Test Kitchen will not only show you how you can still enjoy your old favorites, and in the process, we will teach you how to turn your other faves low-FODMAP as well. All of the dishes in the party picture above were FODMAPed recipes. If we are successful at turning your recipe into a Low FODMAP version it may become a part of the FODMAP Everyday Recipe archive for others to enjoy! And will be highlighted on our site and social media. Ready?